The price of gas goes up and down throughout the year – typically rising as we approach summer vacation months on the calendar. Being smart about improving your fuel economy is the best way of protecting your pocket. 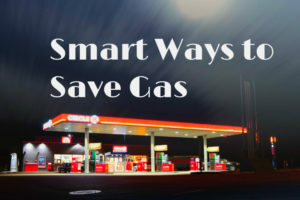 Today, we’ll give you a few tips on how to save money and improve your gas mileage. Better fuel economy translates to more money in your bank account. Follow these tips and get the best gas mileage your car can deliver. Properly inflated tires can help reduce gas consumption by up to 3%. Additionally, it will also help you avoid uneven wear on the tread. Under-inflated tires, on the other hand, devour fuel economy by as much as 25%.That being said, it is recommended to check your tires at least once a month. This routine is also beneficial as the tire loses about 1 PSI per month. If possible, combine multiple trips into one in order to save gas. If you’ll be going out to buy some groceries, it would be best to take your clothes to the dry cleaner at the same time. A properly tuned engine can greatly enhance fuel efficiency. Also, checking the condition of your air filter is of great importance. A dirty air filter can reduce gas mileage by up to 20%. It also makes the engine stall when idling. You may not realize it, but weight is one of the major causes of kinetic energy loss in non-hybrid cars. Mind you, carrying that extra 100 pounds increases fuel consumption by up to 1-2%. If you have formed a habit of using your trunk as a storage space, you might want to find another place for them. But be sure not to remove the things that you frequently use since going back to the house just to retrieve these items is much worse than a little lower mileage.